Toyota President Jim Lentz on Canadian operations: “I don’t know if we’re necessarily going to expand." 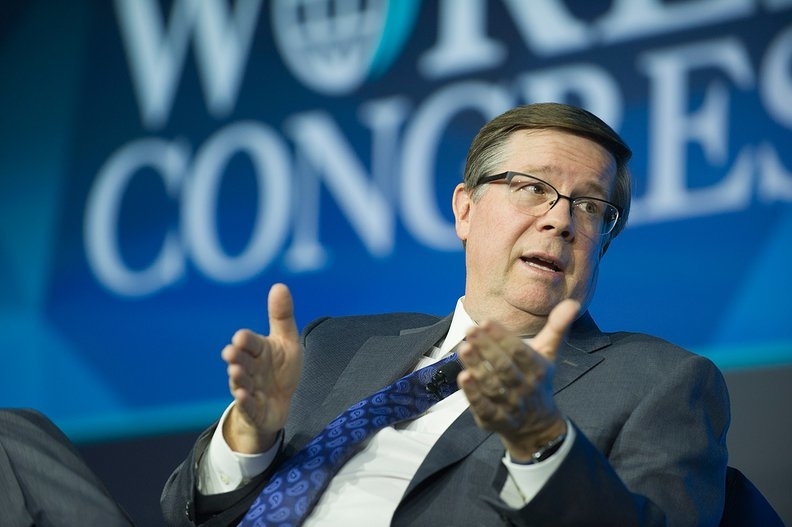 DETROIT — Toyota Motor North America CEO Jim Lentz said the automaker has no plans to expand its manufacturing footprint in Canada, adding that it would only do so if Canada was globally competitive. Lentz, speaking Tuesday at the Automotive News World Congress in Detroit, touted the $1.4-billion retooling of its plants in Cambridge, Ont., and Woodstock, Ont., which will build its top-selling RAV4 crossover. Still, he cast doubt on if the company would consider opening a new plant in Canada in the future. Lentz’s comments came as questions about the viability of Canadian auto manufacturing resurfaced in the wake of General Motors’ decision to stop allocating product to its Oshawa, Ont., plant in 2019. Once production stops at Oshawa, Canada will be home to just nine operating assembly plants. Toyota was the last automaker to build a new assembly plant in Ontario, when it opened its Woodstock factory in 2008. Lentz said that when Toyota decides where to place new capacity, it sees countries being in competition with each other for it. Federal Economic Development Minister Navdeep Bains on Tuesday said he thinks auto manufacturing will remain feasible in Canada, even as its manufacturing footprint has shrunk. He said the Canadian auto industry has the ability to continue manufacturing while automakers expand their research and development in the country. “We think we have a diverse economy that has the ability to … design [vehicles], build them, commercialize them. That’s what our strategy is all about,” he told Automotive News Canada at the Detroit auto show. Lentz said he met Tuesday with Ontario government officials, who were in Detroit to meet with executives at the auto show’s press days. “We’ve got a good working relationship with the province and with Canada,” he said. Toyota is retooling its Cambridge and Woodstock plants so that they can build the RAV4 on its new Toyota New Global Architecture, the platform that underpins much of the automaker’s future product plans. Woodstock has built the crossover since 2008, while Toyota will retool one of its two Cambridge factories in February to do the same. Output of the Toyota Corolla sedan currently built at that factory will shift to plants in Mississippi and Alabama. Fred Volf, president of Toyota Motor Manufacturing Canada, said in December the investment makes the Canadian plants more flexible and secure.